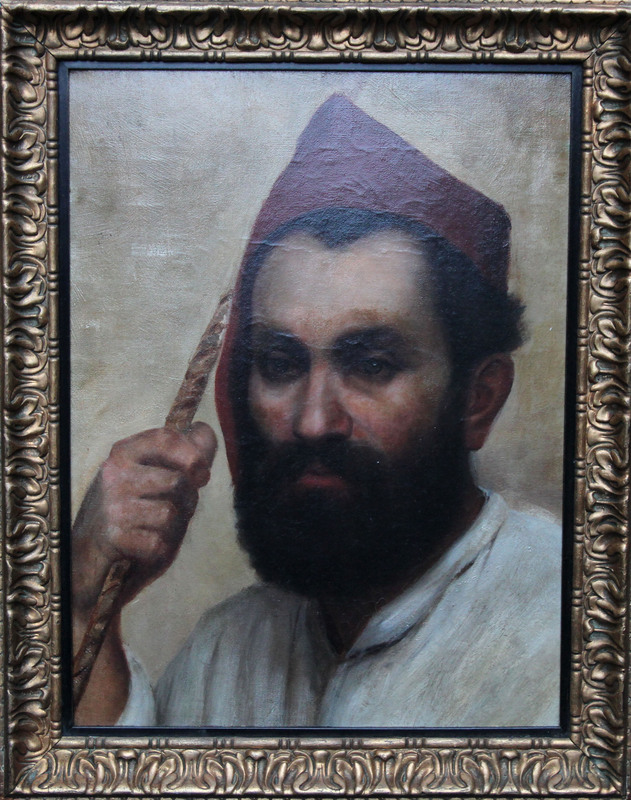 This striking Orientalist oil portrait painting is by a talented Turkish School artist from the 19th century. The portrait is an extremely well painted and detailed realist oil painting of the head and shoulders of an Arab man. 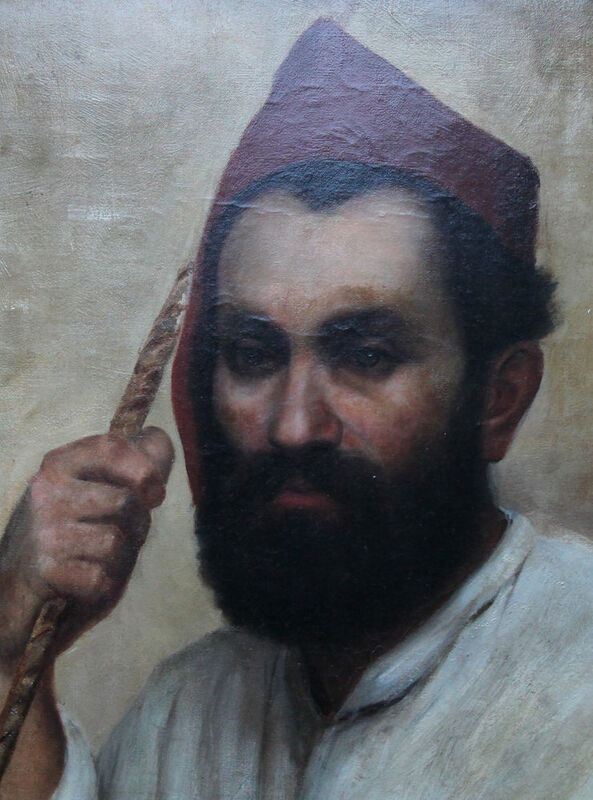 He is wearing a red hat that folds over and hangs down the side and is holding an ornate staff. Housed in a fabulous gilt frame, 26 inches by 22 inches and in good condition.